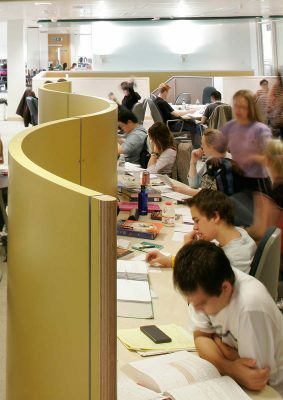 MJP worked closely with the University’s Library Service to create an innovative Student Resource Centre for independent learning within an existing building. The design had to be modern and inspiring as well as functional to attract students. We have created a culture of respect for users. Our student evaluation shows that they value being treated as competent individuals. 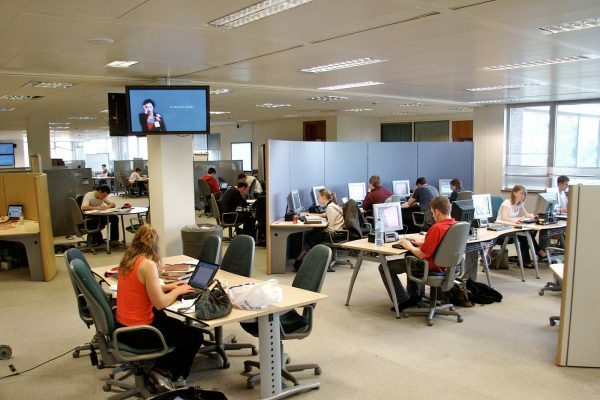 The facility is designed to provide a relaxed environment that encourages students to work in whatever way suits them best – alone or in groups; at any time of the day; at desks or on sofas. There are also facilities for students with specific needs. 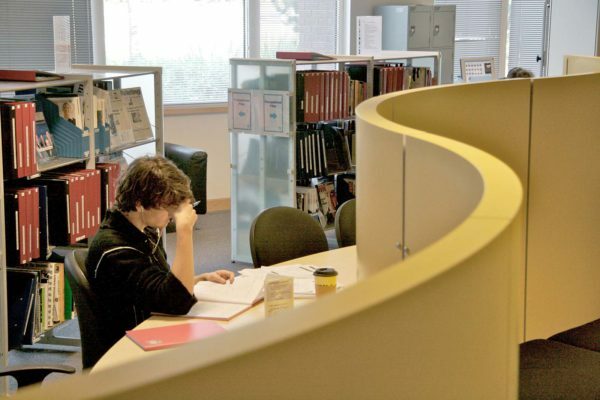 A wide range of electronic equipment is provided to support new approaches to learning, with areas for brainstorming, presentation practice and multimedia video editing, as well as pc terminals and access to books and printed material. MJP used a range of screens and furniture to create a loose arrangement of working areas that the students can reconfigure to suit their changing needs. Curves, colours and textured materials are used to create a lively environment – and as a reaction against other facilities which provide dreary rows of computer desks. A new perforated steel staircase was inserted into the building to form a physical and visual link between the two floors of the Learning Grid. It forms a contemporary feature which deliberately contrasts with the institutional character of the existing building. The facility is open to an atrium which incorporates new catering facilities and is used for social events by staff and students. 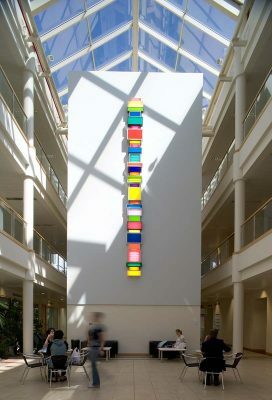 MJP are currently involved in the installation of a new work by the artist David Batchelor in the atrium. 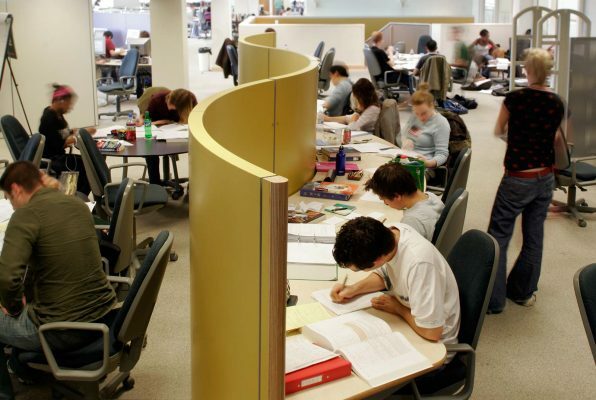 The Learning Grid has been extensively published in the Independent and Guardian, and held as an exemplar by JISC in their publication “Designing spaces for effective learning”.